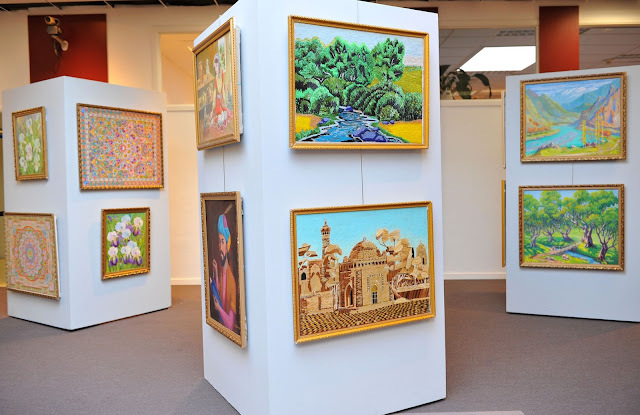 If you are an art lover and love exploring new art works then you must be a regular visitor to various art exhibitions or other cultural festival. Thus, dressing up for art exhibitions can be a troublesome task. Keeping this thing in my today we are sharing some of the types of clothes that you can opt to wear during such events. As art events and exhibitions are attended by art enthusiast and creativity lovers so go sober and simple. Don’t go for extreme clothing that could look weird. Wear comfortable clothing like maxi dresses. They look elegant and are very comfortable. After all you have gone to catch the art exhibition to soothe your mind and soul, not to become uncomfortable with your clothing. Apart from a maxi dress you can opt for a velour jumpsuit. Trust me it is one of the best dresses that anyone can opt for different occasions. Thus making it one of the best options to wear. If you are planning to attend an art exhibition or an event soon then you can opt for just fashion now dress that offer pretty clothes are affordable rates. You can also grab some elegant and stylish clothing for such events from StyleWe. Do check out these dresses and stay stylish and elegant. Hope you have a great time attending art and cultural events.